A digital tool for user researchers to seamlessly conduct contextual inquiry without loosing the precious data. A need to come up with a comprehensive recording tool for user researcher's that could incorporate sketching, media (including notes) recording, communication, shared framework (for e.g. AEIOU), code (tags) generation for note-taking on a single device (most preferably a tablet). This project is part of the user research study (publication) found here. 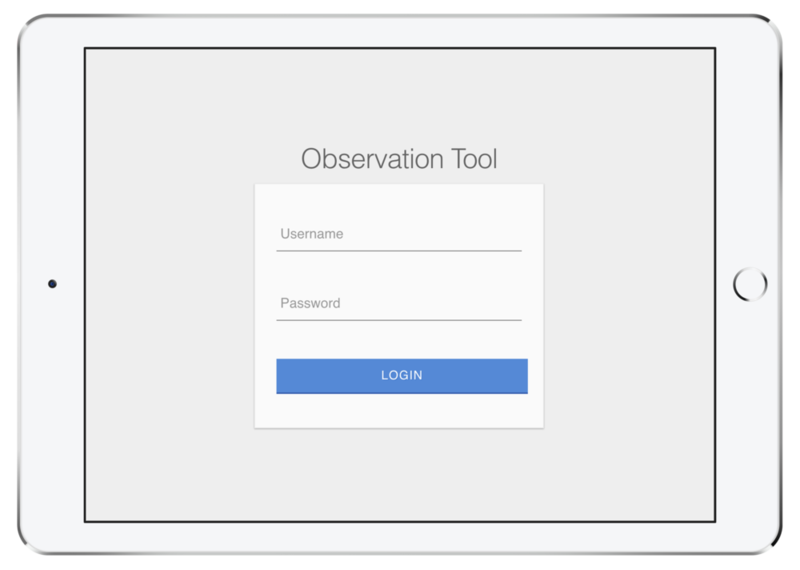 Our objective was to prototype a tool which could help us (user researchers) to comprehensively record observations without causing any interruptions while conducting contextual inquiry. The prototype must use a design system. We conducted a contextual inquiry in our user research study using Optimal Workshop. We found some drawbacks in the Optimal Workshop's Reframer tool. While conducting a contextual inquiry, we were forced to use two-three objects (audio recorder, Reframer - to jot down observation notes, notepad to sketch environment/models) to record our observations. It was a terrible experience to keep track of audio recording status (most of us used smart phones), to carry a laptop for jotting down observation notes while shadowing subjects, carrying a notepad to sketch environments/models. A seamless way to record observations was much needed to avoid any interruptions and to fully focus on our subjects rather than worrying about the number of objects/devices being used whilst conducting contextual inquiry. We had a time constraint of approx. three weeks. all of this in a single device (tablet). Our goal was to come up with a minimalist interface that would afford only the essential elements based on the contextual operation of the product by its user. Login Page - Interactive Wireframe in Axure RP. Login Page - Interactive Screen (coded). Dashboard Page - Interactive Wireframe in Axure RP. Dashboard Page - Interactive Screen (coded). 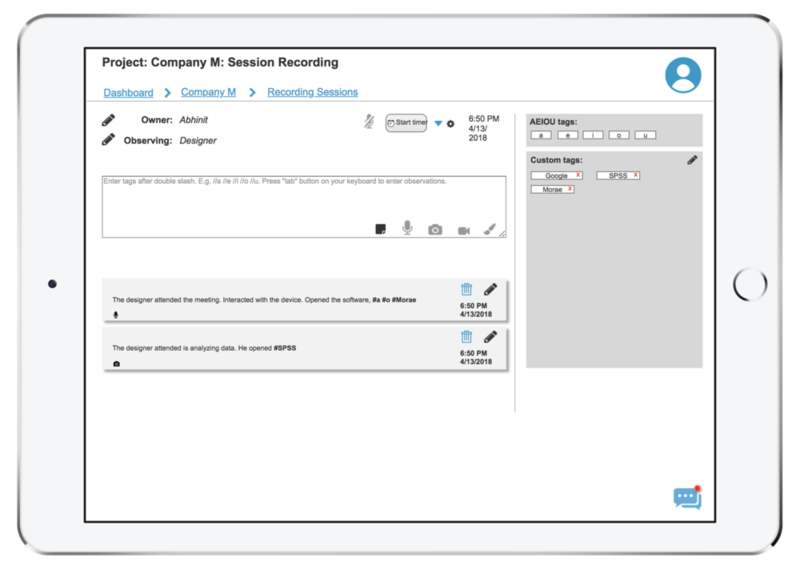 Recorded Session Page - Interactive Wireframe in Axure RP. Recorded Session Page - Interactive Screen (coded). Editing Recorded Session Page - Interactive Wireframe in Axure RP. Editing Recorded Session Page - Interactive Screen (coded). Recording New Session Page - Interactive Wireframe in Axure RP. Recording New Session Page - Interactive Screen (coded). We had a total of four iterations over the interactive wireframes designed in Axure RP. Each iteration was an improvement over the previous artifact, based on evaluation. The code-based screens are the mid-fi version of the interactive wireframes. 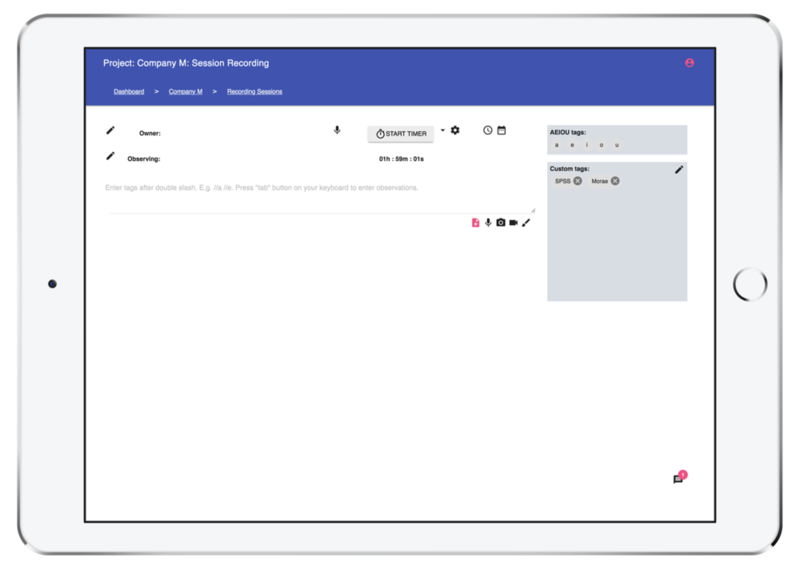 Note: The blue elements in the wireframes are operable (interactive), whereas the pink elements in the code-based version are operable (interactive). Silpa Vipparti (Designer & Coder): Collaborated for ideation, prototyping and coding process. Abhinit Parelkar (Designer & Coder): Sketched, prototyped, coded, refined. Our goal was to develop this tool and conduct a usability test (on this tool) using Morae. Unfortunately, due to much shortage of time (the study was much focused on the user research part), we couldn't ideate the analysis part of this tool, neither we could develop this tool due to the lack of dedicated developers in our team. We see a potential in our idea, and we hope to implement and evaluate (with usability tests) it in the near future. The tool wasn't developed due to the shortage of time and lack of dedicated developers in our research team. It was a successful start to prototype potential ideas for our proposed product, but it didn't complete within the allotted time.